Accounting Start is our simple cash management tool that easily manages your money in and out of your business. Perfect for cash based businesses, start-ups, entrepreneurs and tradesmen. (Please note you will still be prompted to enter your Direct Debit details after 30 days if you opt for the free extended trial. You won’t be charged £10 + Vat per month until after the 90 days is up). 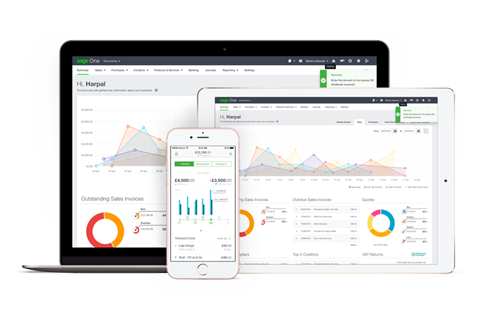 Accounting is perfect for small businesses that want to manage their accounting online, invoice on the go and want a little more out of their software. Click on the link below to get an extended 3 month free trial of Accounting. (Please note: you will still be prompted to enter your Direct Debit details after 30 days but won’t be charged £22 + VAT per month until after the 90 days is up). Our easy, online payroll software complies with all the latest HMRC legislation including Real Time Information and Auto Enrolment of Workplace Pensions. Click on the link below to get an extended 3 month free trial of Payroll. (Please note: you will still be prompted to enter your Direct Debit details after 30 days but won’t be charged £6 + VAT per month until after the 90 days is up).